The House will meet on Thursday, April 11, 2019 at 10:00 a.m to vote on the budget. There will be a Republican caucus on Thursday April 11th at 9:00 a.m. in Rooms 301-303, LOB. A budget briefing will be held next Tuesday, April 9th from 10:00 a.m. to 11:30 a.m. in Representatives Hall. All members are encouraged to attend. On Wednesday, the House Finance committee voted along party lines to adopt the Democrats’ amendments to HB1 and HB2. The Democrat’s ill-advised proposal increases spending by more than $300 million compared to the governor’s plan, uses one-time revenue to grow government, and raises taxes on Granite Staters. After years of responsible Republican government, their proposal is a leap in the wrong direction. For more information, we’ve included a joint press release and a budget preview below. House Democrats Budget PreviewThe House Finance committee voted Wednesday along party lines to adopt the Democrats’ amendments to HB1 and HB2, and recommend them to the full House next week. Again, Republicans voted unanimously in opposition. Unfortunately, the executive session was not live streamed or recorded, so the portion of the executive session where the Legislative Budget Assistant reviewed the contents of the surplus statement is not available for replay. 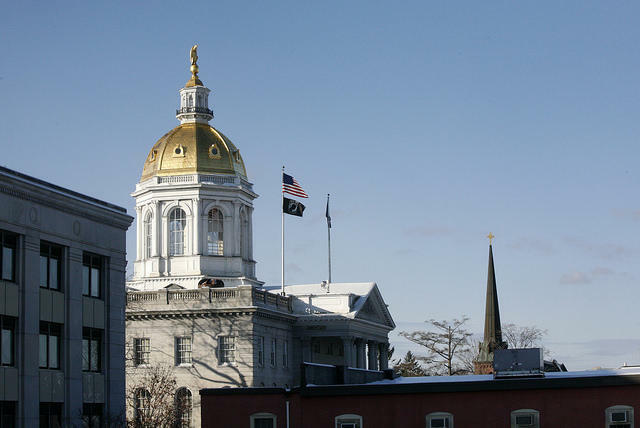 Increases HB1 spending by more than $300 million compared to Governor Sununu’s proposed budget. Their total budget proposal in HB1 will spend as much as 7.5% more in General Funds (13% more in total funds) than the budget we passed in 2017 (FY2018-FY2019 as passed in HB144). Includes the repeal of future business tax rate reductions costing our job creators $280 million over the next 4 years. Includes their $150 million per year capital gains tax proposal, which applies the Interest and Dividends tax to capital gains. Their revenue estimates for this new tax are inflated, untested, and unrealistic. Replaced the governor’s voluntary family leave plan and replaced it with their likely-to-be-insolvent, state-run insurance program funded by a mandated 0.5% tax on wages, costing workers/businesses $168 million per year. One time revenue is being used to grow government, which will cause a structural deficit in future budgets. Governor Sununu had proposed using one-time revenue for one-time projects. $20 million less money would going to rainy day fund (End of FY19 through FY21). “From his reaction on Monday, Gov. Sununu was as stunned as others to learn that House Democrats have decided to scrap the $26 million plan for either a new building or a new wing on an existing state hospital structure. Having talked about the problem for years, the Democrats now want to “study” the problem. More study would put off a solution for at least three more years”Read the full story here. 100% of Republicans voted against HB623 on February 28th. The language of HB623 is now part of the amendment to HB2, sections 213-216. HB 686-FN-A-L, relative to calculating and funding the interim cost of an opportunity for an adequate education and extending the interest and dividends tax to capital gains. 99% of Republicans voted against the HB686 on February 28th. The Capital Gains Tax language of HB686 is now part of the amendment to HB2, sections 242-252.